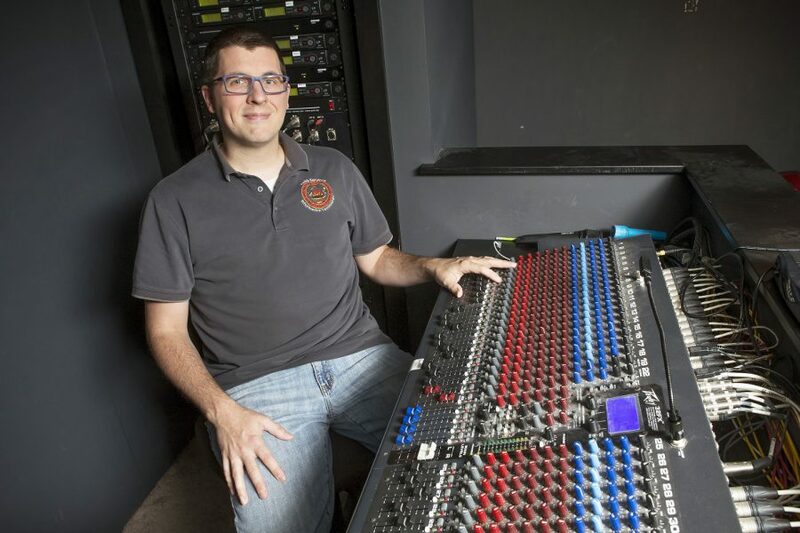 CPN Clinic Information Technology Coordinator Dustin Farris volunteers as a stage sound engineer for Shawnee Little Theatre. Shawnee Little Theatre has produced plays and musicals for a half-century. That’s an impressive run for an all-volunteer organization that’s only goal is to deliver exciting, meaningful entertainment to the community, including residents of Shawnee, Oklahoma, and Citizen Potawatomi Nation. Over the years, many CPN tribal members and employees have helped the theater bring productions to life. It started the summer after his freshman year of college. They approached their former drama teacher about launching a community theater. They staged their first performance in the summer of 1967 in the parish hall of a local church — Philip King’s 1944 play See How They Run. Soon, Shawnee Little Theatre acquired nonprofit status, bylaws and its official name. In 1975, the organization hosted a community fundraiser to build a more a permanent home. At the time, The Shawnee News-Star publisher Ross Porter was a friend of famous stage actress, singer, dancer and comedian Carol Channing. The new building opened in 1976, and the theater company has called it home ever since. 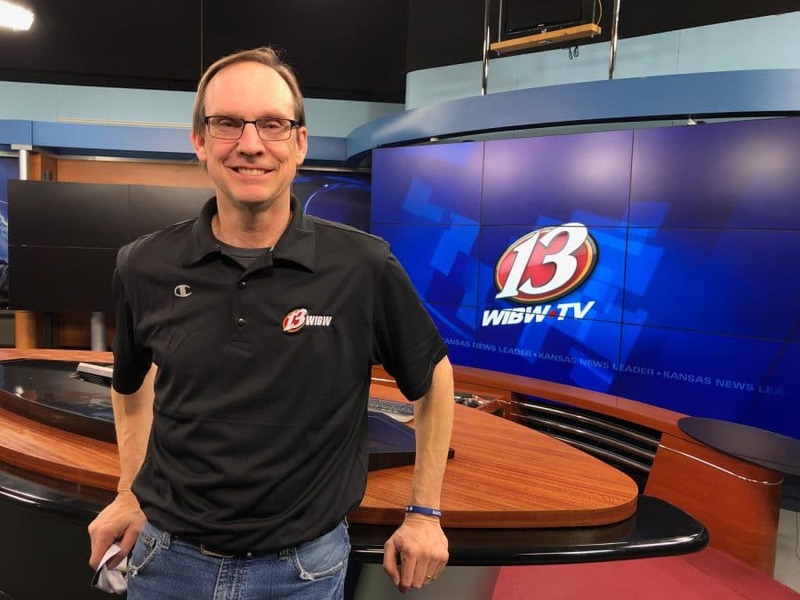 Citizen Potawatomi Nation Clinic Information Technology Coordinator Dustin Farris made a split-second decision to volunteer. After attending several plays, he realized that he recognized one of the directors. That was in 2011. Farris now regularly lights and sound designs Shawnee Little Theatre productions. When he began, he had no theater experience. Farris’ family also volunteers. While he does not like being the center of attention and prefers backstage work, his wife and two daughters love to act, dance and sing. They all have worked together on musicals. “It’s great seeing them do something they love to do and be good at it,” he said. Other CPN tribal members and employees have participated, too. Chairman John “Rocky” Barrett acted in a couple of plays, including the 1971 production of Plaza Suite. His granddaughter Kate Barrett helped with makeup for this season’s Beauty and the Beast. The Tribe has also sponsored the theater to help sustain the nonprofit community organization. Farris appreciates that there is always a spot for everyone. Over the last half-century, Jones said some of the company’s most popular plays have been To Kill a Mockingbird, The Sound of Music, How to Succeed in Business Without Really Trying and Little Shop of Horrors. In February, in celebration of its 50th anniversary, the theater group presents a revival of the play Lion in Winter, which it previously produced in 1979 and took to Oklahoma Community Theatre Association and American Association of Community Theatre competitions. This year’s 2017-’18 season-ending production is the musical Oklahoma!, which runs April 13-21, and is the perfect production to wrap up a hallmark year. “We’re just glad we made it this far,” Jones said.